For two days I’d stayed indoors apart from strolls up and down to the village for milk and newspapers. A winter cold of the hacking cough, sneezing uncontrollably, constantly running nose kind left me feeling rather sorry for myself. Annoyingly the weather had been bright and clear, with sharp early morning frosts, just the sort of thing for walking. Today I decided it was kill or cure, wrapped up warm and went out anyway. 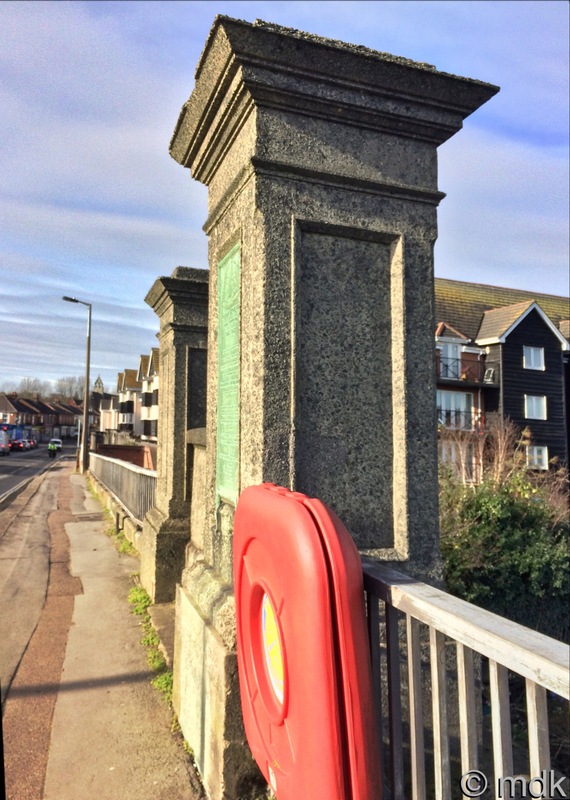 A post on the Southampton Heritage Facebook page had me itching to get down to the river to see a new piece of public art that has appeared there in the last few days and I thought I’d combine this with a long put off write up about Cobden Bridge. CJ is suffering with the same cold and, of course, blaming me loudly. While I was putting my boots on he said he’d come too to get some fresh air. We took some granary crusts to tempt the black swan cygnets and set off into the cold. In no time at all we were at Bitterne Park Triange looking at the clock tower. The tower is probably one of the best known city landmarks on the east side of the Itchen and it’s odd to think it stands in the middle of the Triangle more by accident than design. 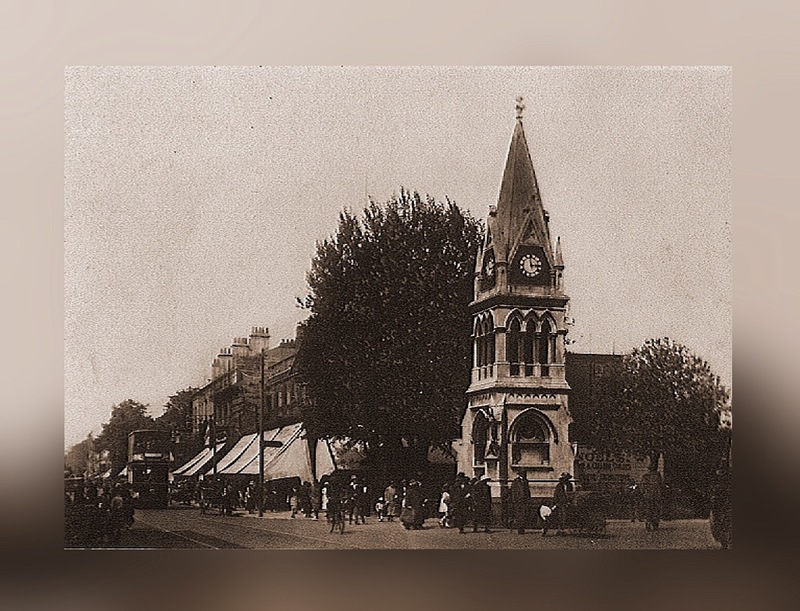 The forty three foot, gothic style clock tower, designed by Sydney Kelway Pope and built by Garret and Haysom, was a gift to the city, bequeathed in the will of Mrs Henrietta Bellender Sayers “in evidence of her care for man and beast,” as a drinking fountain and trough for horses, cattle and dogs. 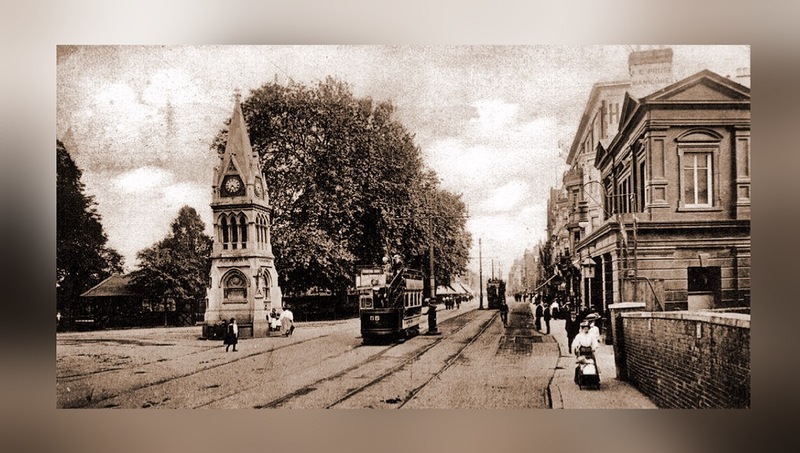 It was unveiled in 1889 at the junction of New Road and Above Bar. For almost thirty years the cattle trough at the foot was used by horses and cattle passing along Above Bar, the small troughs on the north and south sides were used by dogs and the drinking fountain on the west side was used by thirsty Sotonians, who could also check the time while they drank. Slowly times changed. In 1916 the mass use of a cup on a chain was deemed unhealthy and the water supply to the drinking fountain was cut off. Cattle were no longer driven through the city centre streets and horses gave way to cars. By 1929 the Civic Centre was under construction and motor traffic had increased to such a degree that the tower was in the way. 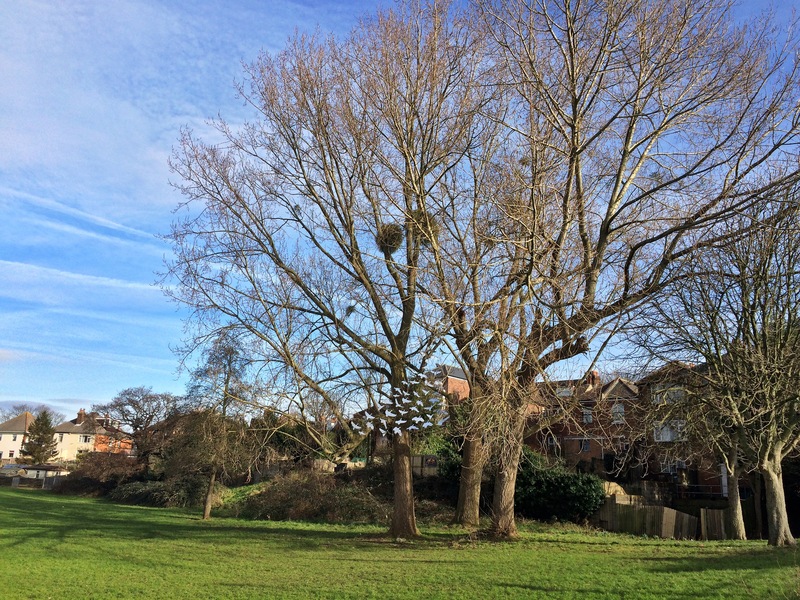 Rather than pull it down it was dismantled piece by piece in 1935 and moved to Bitterne Park Triangle where the wooden hut, used as an office by National Land Corporation agent Alfred Chafen, once stood. It may have been less in the way but the Triangle was hardly an ideal spot. The soil was soft and, slowly, over the years, the tower began to lean. These days it’s leaning downhill to the west by around seven inches. Sooner or later it will fall unless someone does something. For now, it remains the leaning tower of Bitterne Park. The tower leans towards Cobden Bridge, which was, in part, what we’d come to see. 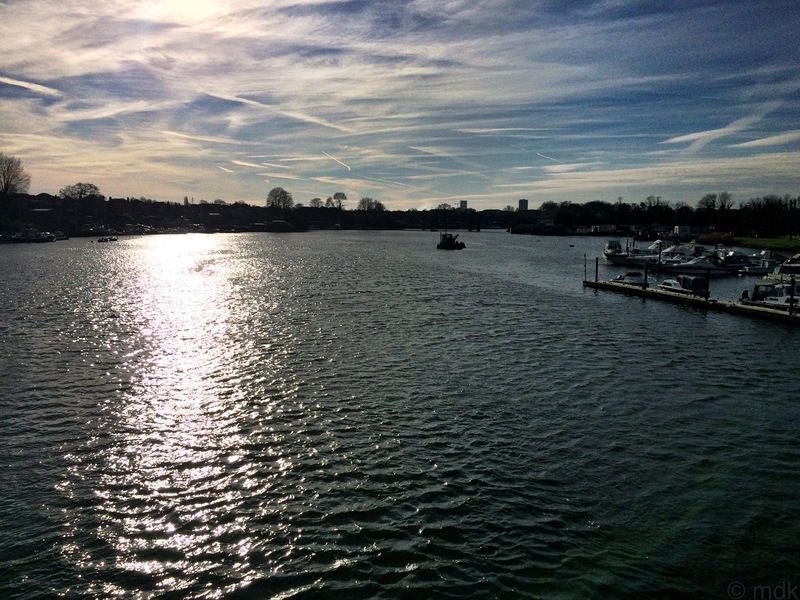 Its tale began six years before the clock tower was built, in 1882, when the National Liberal Land Company bought a tract of land on the east bank of the Itchen intending to build houses on it. 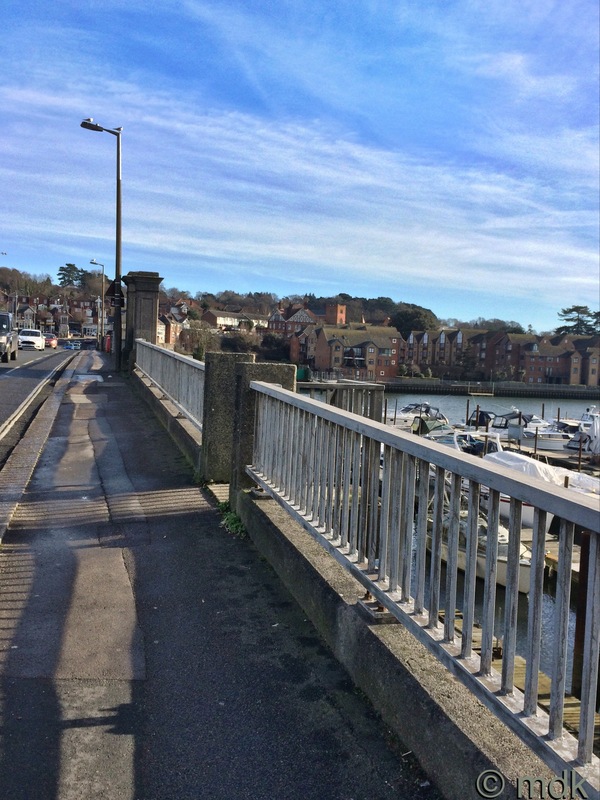 They knew the land would be far more valuable if they built a bridge to connect it to St Denys on the other side of the river, giving easy access to Southampton Town Centre two miles away. Before they could build though, they had to obtain a grant from the Crown to drive pillars into the foreshore, which, as the river is tidal, the Crown had a right to. They were eventually granted permission, for a yearly rent, with a covenant to keep the bridge in repair. If it became unsafe and caused a danger to navigation or the public, the Crown reserved the right to remove it. 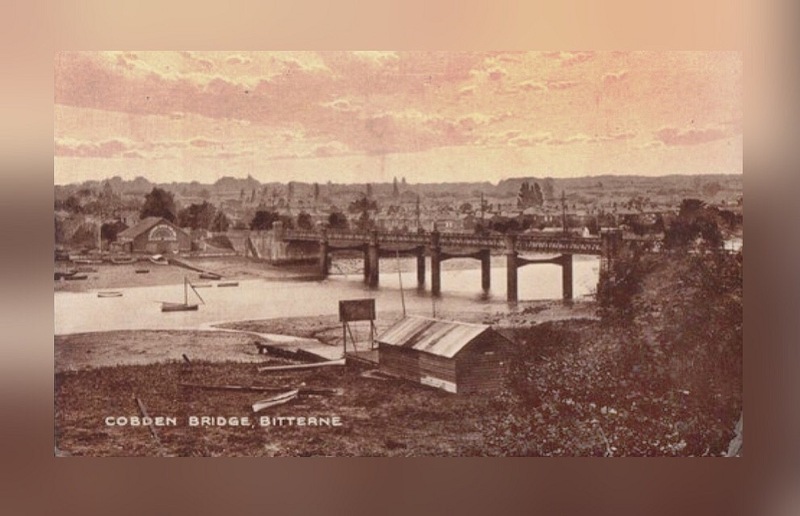 By 1883 an iron bridge was built and, in clear competition with the toll bridge at Northam, it was advertised as ‘free to the public for ever.’ It was named Cobden Bridge after Richard Cobden, a Liberal politician, campaigner for free trade and founder of the Anti Corn Law League. 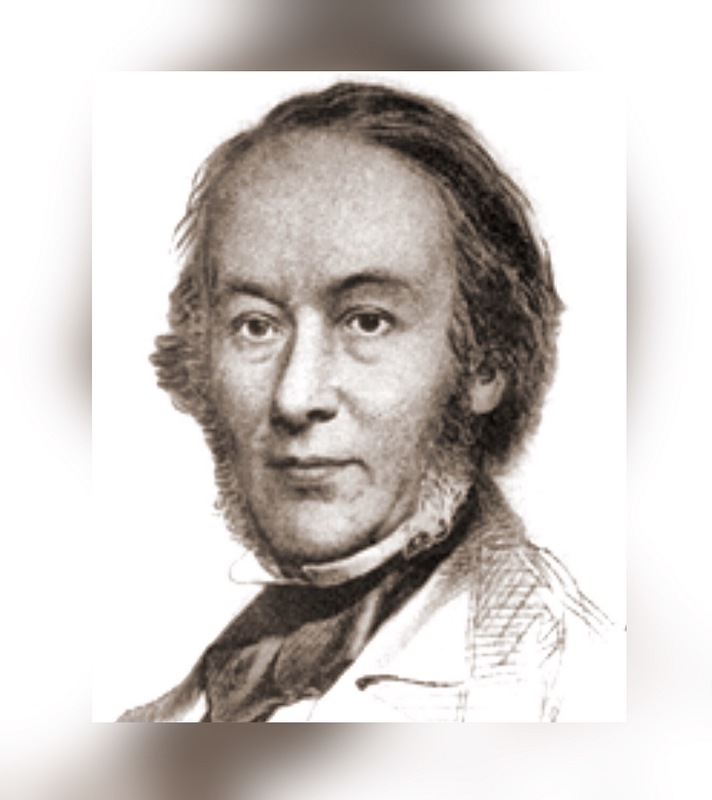 It was opened by Thorald Rogers, another Liberal Politican, chairman of the Land Company and friend of Cobden. After the bridge was built development of the area began. 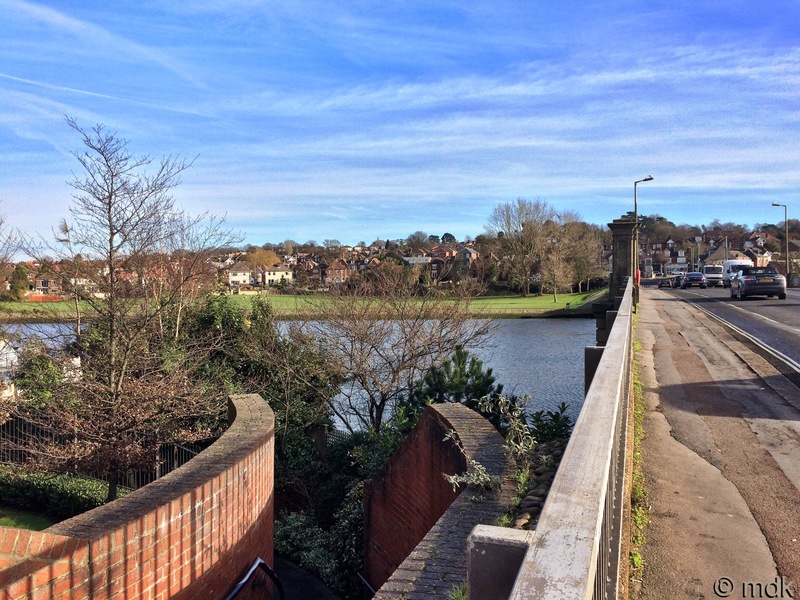 A road was built to meet the bridge on what was then the country side connecting with St Denys Road on the Town side. It was called Cobden Avenue after Cobden. Slowly, houses and more roads were built, Thorald Road was named for Thorald Rogers, Bullar Road, heading for Bitterne, was named after John Bullar, the Land Company Chairman’s former schoolmaster, and others named after prominent Liberal Supporters Sir William Harcourt and Joseph Whitworth. Crossing the bridge today and looking at the sun sparkling on the rippled water and gulls gliding in the cold air it’s hard to imagine the old iron bridge or the furore it caused shortly after it opened. Strangely, connecting St Denys and Bitterne was not perceived to be a good thing by some local residents and the bridge became the scene of several skirmishes that would become known as ‘The Battles of Cobden Bridge.’ The exact reasons for the resentment between the two villages has been lost in the mist of time although some say it began when people from St Denys crossed the bridge to pick primroses on the Bitterne side. More likely is the tale that St Denys lads had come to Bitterne to chat up some local girls. Either way, it all ended badly. 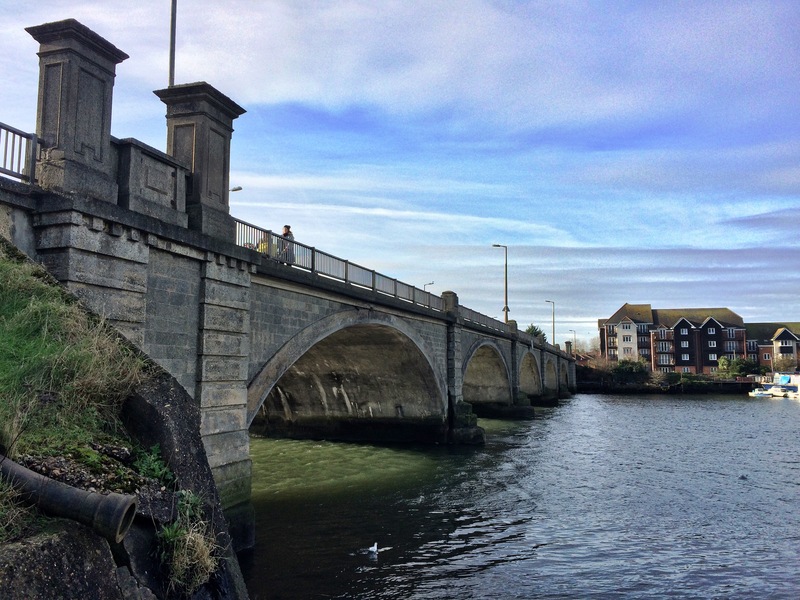 One Sunday in 1884 things came to a head and a group of about a hundred town lads set upon a small group of Bitterne boys near Dyer’s Boathouse on the St Denys side of the bridge. Outnumbered, the Bitterne boys took a sound beating. One lad, the son of Mr Rocket the Bitterne carrier and the brother of one of the girls in question, had both his eyes blacked. Most importantly, village pride was hurt. The next Sunday hundreds of men and lads from both villages met for a return battle on the bridge armed with sticks and stones. A ferocious fight ensued. Noses were bloodied, eyes were blackened and pride was hurt on both sides. A week later an even larger group came across the bridge from St Denys, some say they numbered thousands but this could be an exaggeration as the population was still relatively small. They marched all the way to Lances Hill, a good mile and a half away. This time the police were waiting for them and the leaders were arrested and sent to Winchester Prison. Even so, resentment between the ‘townies’ and the Bitternites remained for many decades. By all accounts the Bitterne girls in question were very beautiful and well worth all the trouble. Then again, I’m a Bitterne girl so I could be biased. These days there seems to be peace and harmony between the two sides of the bridge, much as there is on the river below it. We crossed without incident. Our biggest problem was getting across the road. The development in what would become Bitterne Park was a great success and the new roads became increasingly clogged with traffic going back and forth. By the 1920’s the old iron bridge wasn’t up to the job any more and building began on a new concrete bridge in 1926. The bridge we crossed today was opened in October 1928 by Wilfred Ashley, Minister of Transport, and a copper plaque stands on either side giving the details. Now we were in St Denys and, although there were no marauding gangs of youths, we turned and made our way back across the bridge. St Denys was not the object of this wall, although it may warrant a later visit. One of the things I’d come to see was the new artwork in Riverside Park. I’d heard it was in a tree close to the park entrance and, as we began to cross, I peered across the water hoping to spot it. There was certainly something glittering in a tree but, from this distance, I couldn’t make it out clearly so I turned my attention to the houseboats on the St Denys side of the river. It isn’t often I find myself on the park side of the road at this end of the bridge after all. The area has been tidied up a bit since August 2014, when I last took photos from this spot. Back then there was a slightly run down houseboat right by the bridge. It had begun to sink and looked in a bad way. Not long after I took the picture someone cleared it away and the area does now look tidier, but I can’t help wondering about the people who’d been living on it. With a quick stop to take a photo of the Ekco Radio ghost sign on the side of the first shop on the Bitterne Park side of the bridge, we made our way towards the park. 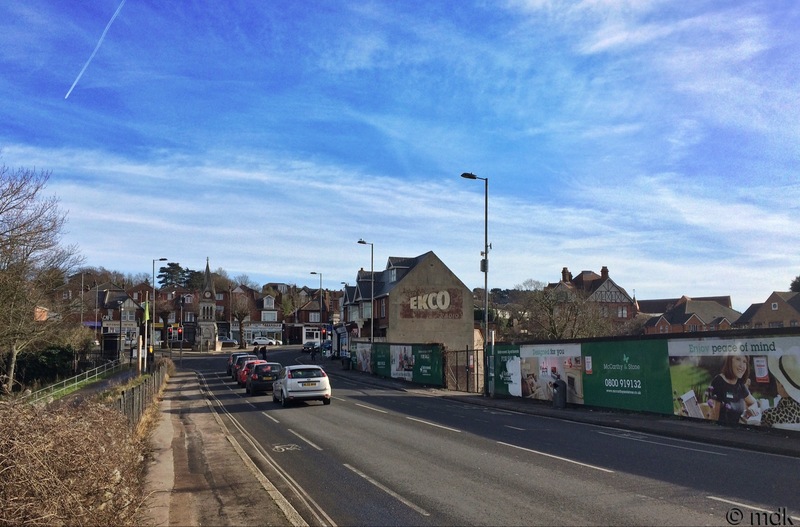 There may not be many more chances to see the sign as building work on the land beside the shop looks set to start soon. More luxury flats will almost certainly block out the view of the sign and a tiny piece of history will disappear. Near the park gate I could see the artwork a little better. 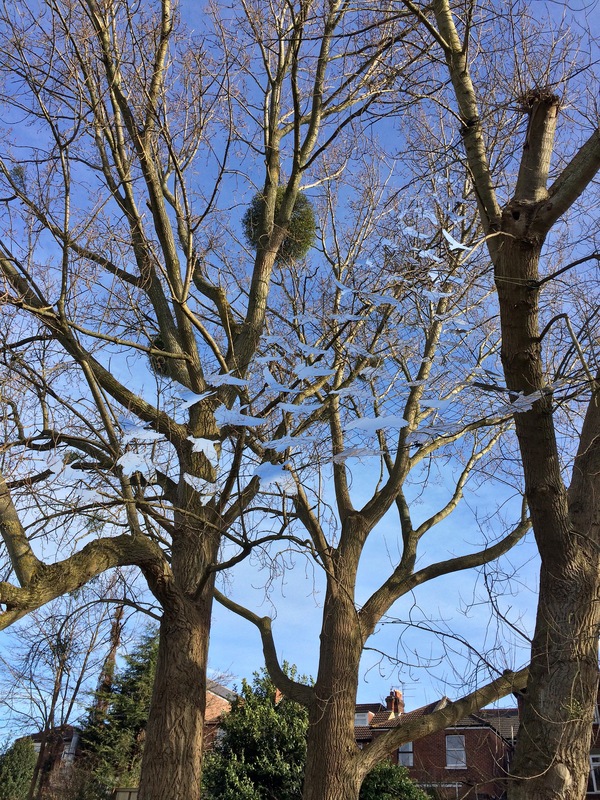 There seemed to be a drift of shining birds flying up into a tree filled with balls of mistletoe. The glittering birds seemed to be moving in the breeze. We marched down the slope for a closer look, stopping for a shot of the underside of the bridge on the way. The grass was wet and muddy but we picked our way carefully across, curious about these strange birds and how they were clinging to the tree. 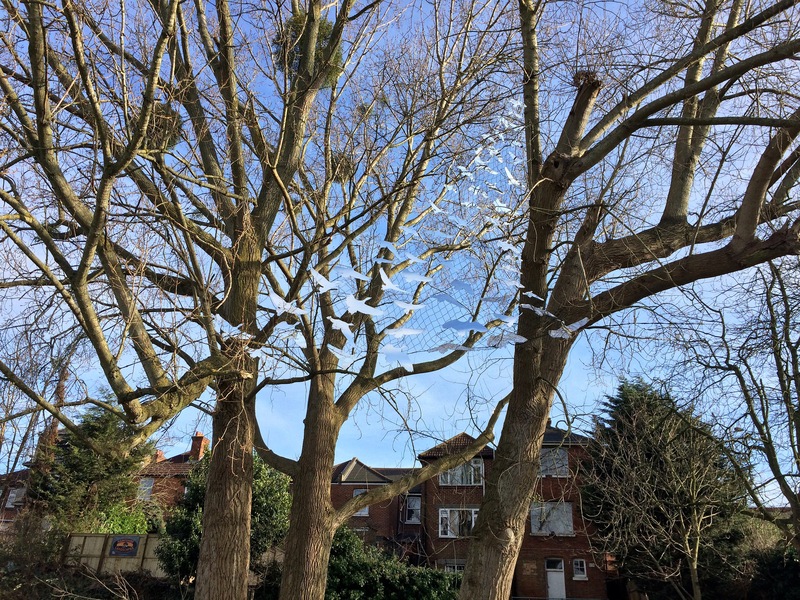 As we got closer I could see they were attached to netting stretched between the trees and the birds seemed to be made of mirrors, reflecting the sky, the branches and the sun. Sadly, my pictures couldn’t capture the movement or the sparkle as well as I’d have liked but they really were lovely. It turns out Riverside Park is not the first place to be graced by this sparkling piece of art. The work, by Bitterne Park artist Sarah Filmer, was in the garden at Mottisfont last winter as part of ‘the nutcracker’ family trail. It arrived here on Sunday and the birds are snow geese, cut from mirrors. The sun was really in the wrong place for glittering but I loved the way they moved and reflected the sky. Hopefully they’ll stay around for a while. 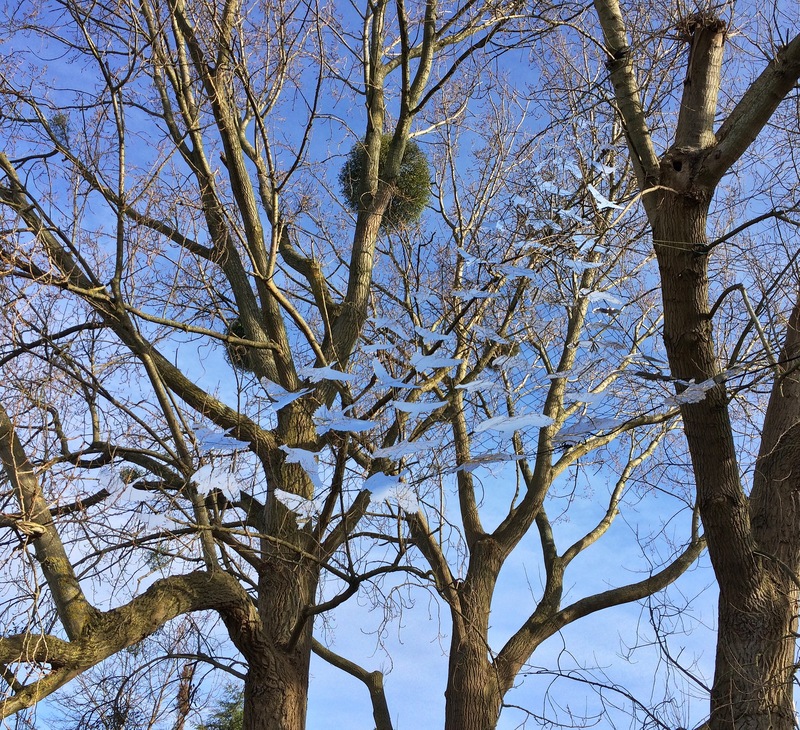 well done for tracking down such a beautiful installation, it must have looked very pretty with the mirror reflecting the sky. It was lovely. I’m not sure how long it will be staying though. I used to cross on my way to and from work too. In the early hours of the morning I’ve seen some lovely sunrises. I’ve never seen a swan flying over the bridge, although I’ve seen them stop the traffic on Northam Bridge many times. The gulls can be a bit of a nuisance though. The clock tower looks like it’s leaning in all of those photos to me but it could just be photographic distortion or something. The sinking houseboat was the one with the horse shoe opening pointed down, meaning all the good luck ran out. I remember it from the other post. Cutting all those birds out of mirror glass must have been quite a chore but it was worth it for such a beautiful creation. I hope you and your son are over the cold! The lean on the tower today is hard to capture in a photograph because you’re actually standing on an incline when looking at it. When you get up close though it really is noticeable and I think it will fall eventually if nothing is done. The sinking houseboat is the same one. I noticed the horseshoe with all the luck running out. They should probably have thought of that when they put it there. Those mirror snow geese are lovely. I wish my photos did them justice but it’s impossible to capture they way they flutter in the wind. Wonderful shots of river and I really like those bird sculptures in the trees. The snow geese sculpture is even better in real life. Glad you enjoyed it Ted. 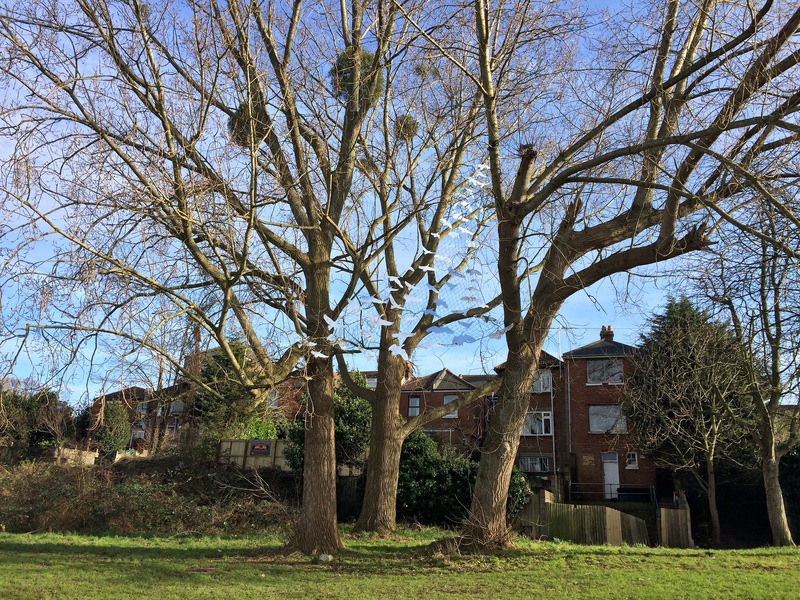 Thanks Marie – I love this area and am inspired to go on a walk to see the new sparkly bird art. 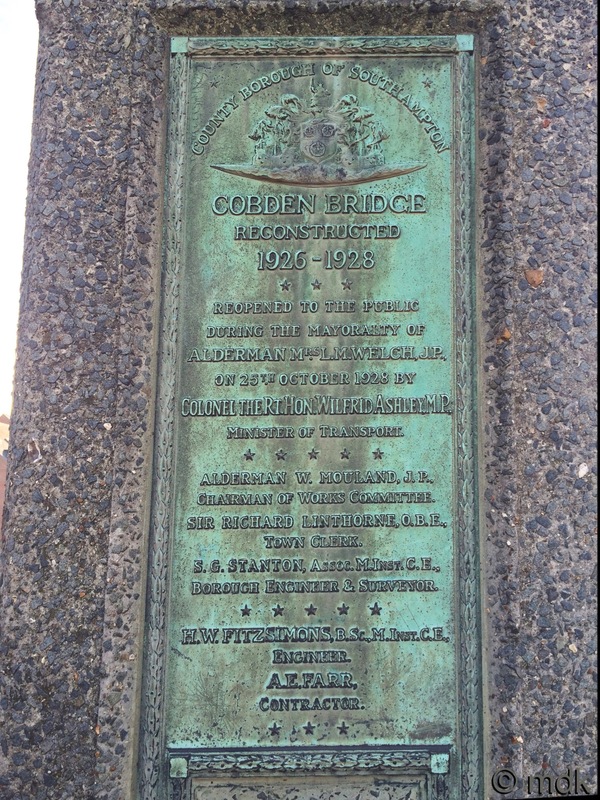 I didn’t know about the Battle of Cobden Bridge – what an interesting piece of local history. 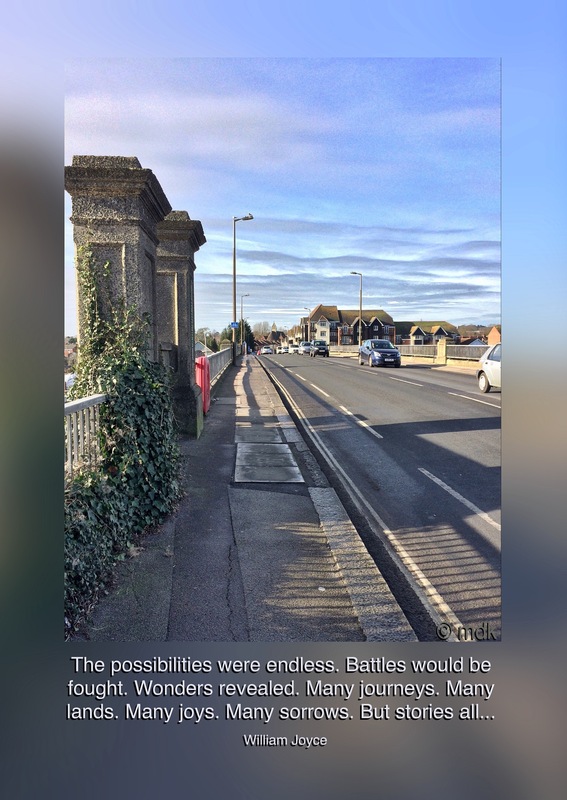 I’d had heard about the battles of Cobden Bridge some years ago and kept meaning to write a post about it. The sparkly bird sculpture was just the incentive I needed. The art was well worth the visit. It was. We are very lucky to have it, even if only for a short while. Thank you Marie. This is an area I know well, and I really enjoyed reading about its history and seeing all your great pictures . The boats next to the bridge in your older picture were there illegally without permission and eventually removed for the company who manage the cities assets. The larger boat, Sungo, a little further from the bridge, was originally a Canadian motor gun boat and has been a houseboat for many years. It is no longer occupied every day but the owner and his family and friends use it for leisure purposes such as fishing and other things. Thank you for the information Peter. I vaguely remember reading something about the sinking boat being removed because it was there illegally. I’ve always wondered what it must be like to live on the river there. 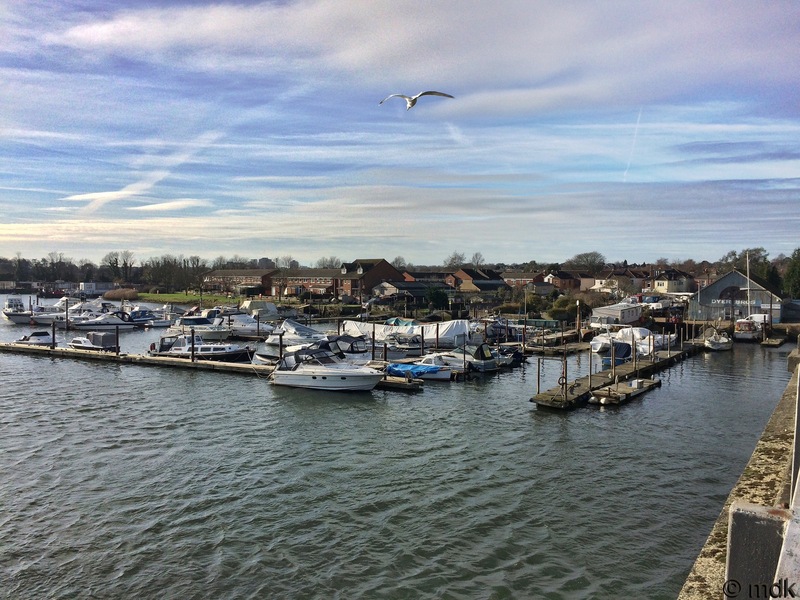 The council registered the land in 2007 using the land registration act of 2002 ilegally with no ct1 notice or mention of 5 house boats moored there since the 50s, that have access and parking spaces within the planning conditions of the flats. Kims houseboat coot suffered a pile through the bottom. The ex customs and police high speed launch and observation post was a casualty of a process known as gentrification. Peter Harding is a second home owner in the hideous flats who calls himself the chair of the residents association, is an ex jp and hopes to buy the freehold from the Japanese holding company and have new jetties put in for posh yachts owned by the penthouses. I originally applied for a lease in 2008 for the msc dido. I bought her as a houseboat with conditional planning permission. 10 days before the deadline the eviction notices were posted. I went to court and they gave possession of my 75 ton steel houseboat to the council, who hired a thug to remove the vessel. I went to see Alan whitehead, who could do nothing but remind the council it was my home and I would need compensation. The papers were changed by the court with 2 days to spare. Boris the dog got shot and valves were opened inside dido filling her with water and ruining all my possessions the day after the order was changed, whilst I moved ballast by barge so dido could be moved safely. The council have no proof of ownership other than the illegal registration document. The pile through coot was malicious and intentional as prooven by the breifing note I have obtained through the freedom of information act and the lady who owned the boat is still homeless and her children stuck in brixton instead of living the dream in st denys. I live mid river and feel I can not call myself an English man as I am a dispossessed refugee. 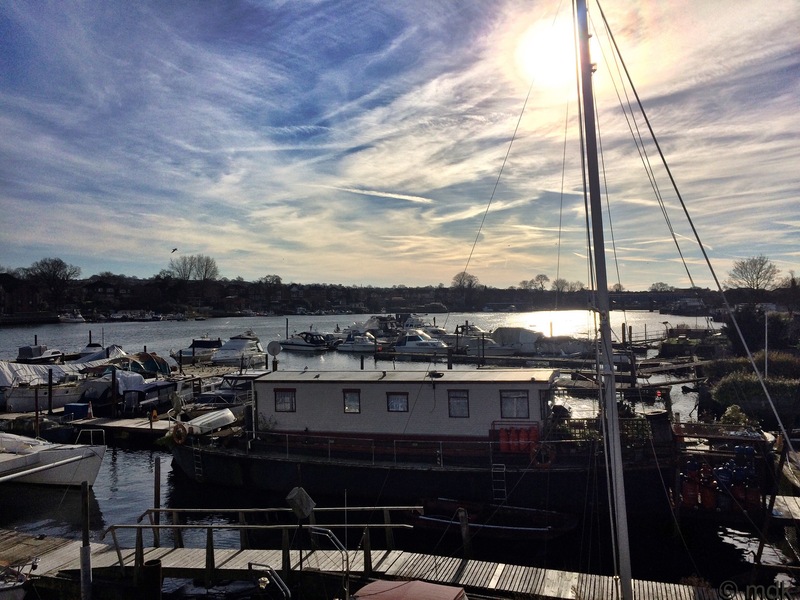 I am originally from London as is Kim and I moved to southampton in 2006 after refurbishing a property in bitterne park triangle and noticing the house boats and the distinct character of this unique area. Whilst eating fish and chips from Charlie’s in the park, I found myself thinking of Living in one of the boats. A couple of years later I had bought one. I had no debts and spent a year renovating dido before the eviction. Since then i have been harassed and victimised, beaten several times by the police officers of southampton police, once on cobden bridge 3 hours after I was at court for the coot. And another time by mt pleasant trading estate for cleaning metal from the mudflats. I could go on but gladly I have better things to do than reminisce over the years spent trying to live in my own home and pay my own way. Thanks Marie for your blog. You seem to be a very caring lady and I’m sorry you’ve had to see your neighbourhood and surrounding area gentrified or ghetoised as in polygon and portswood / highfield. Greg, I am so sorry to hear your story. I had an idea there was more to the disappearance of your little boat. Thank you for letting me know. If you wouldn’t mind, I would like to write more about it at some point. The first two paragraphs are factually incorrect. The houseboats were not granted access and parking spaces by the planning consents for the flats. The first Section 106 document mentioned the houseboats but this lapsed. 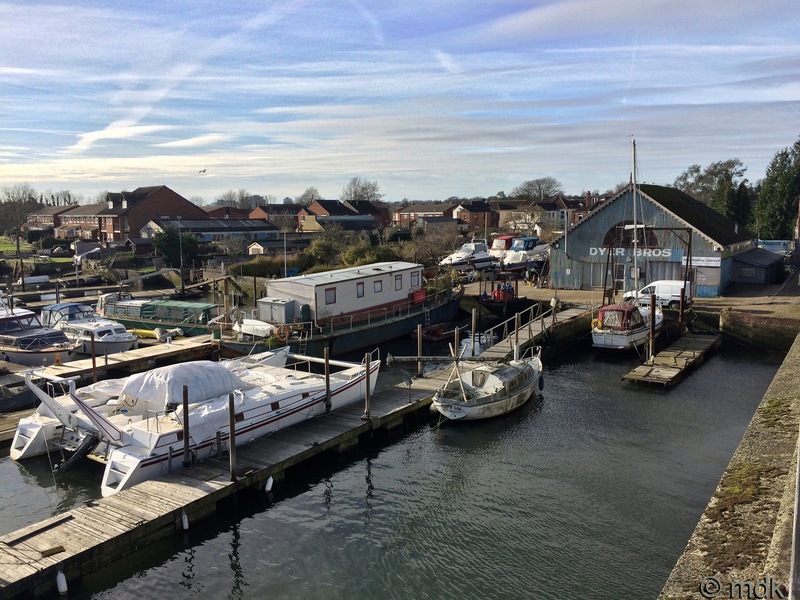 The final s.106 document did not grant access or parking permission for the houseboats. The then owner of the houseboat Sungo was granted (by the developers) a lease for one parking space and a four square metre block of land between the houseboat jetty and the macadam path behind the flats. I live in one of the flats and this is not my “second home”. Also I was a member of the Residents Association but never the chairman. The freeholder is not a Japanese company and I never had any plans for posh jettys. 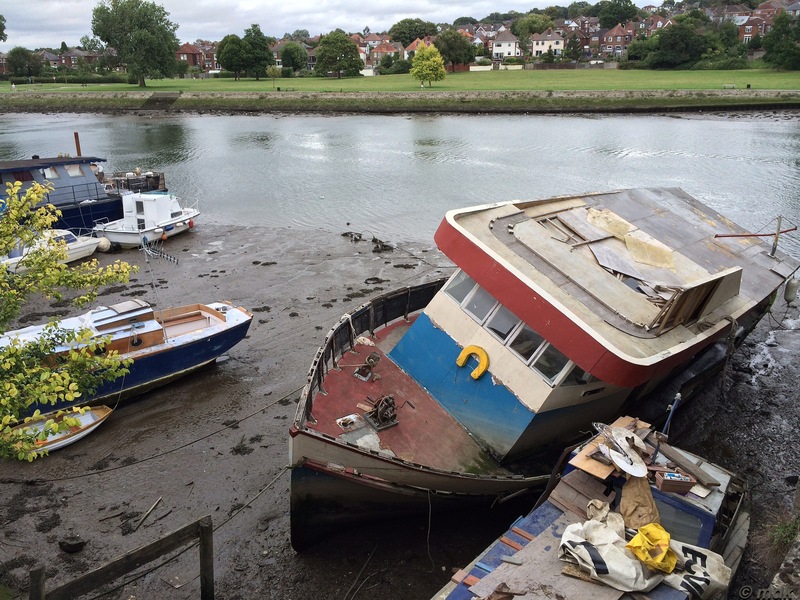 Gregory moored his vessel without planning permission from the council, without permission from the jetty owners or from the freeholders of the land (which includes the river bank down to mean high water mark. 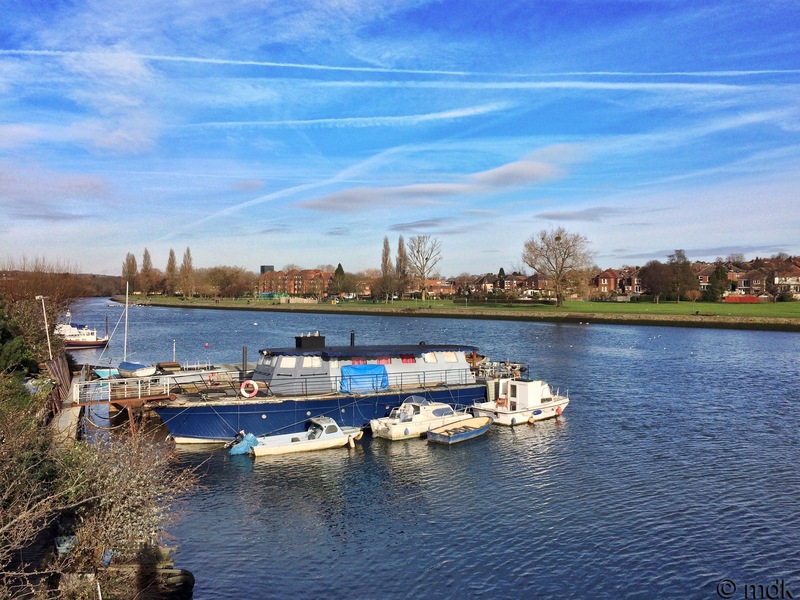 He is not the only person to have been prosecuted by the council for mooring along the riverside without the necessary permissions. Interesting. It seems a shame though that his boat was scuppered, with all his possessions aboard. 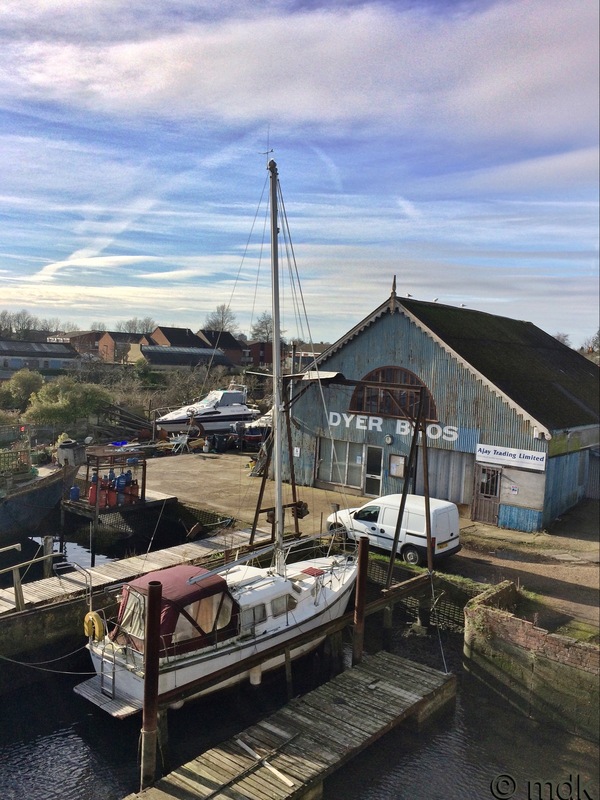 I agree it is a shame he lost his possessions, but if he had heeded previous warnings that he was moored there illegally and then moved the boat elsewhere, the council would not have taken legal action and he would still have the boat and his possessions. It seems he was in the process of moving the boat when it was sunk. I feel sorry for the poor man, who, it seems, was just trying to find somewhere to live. 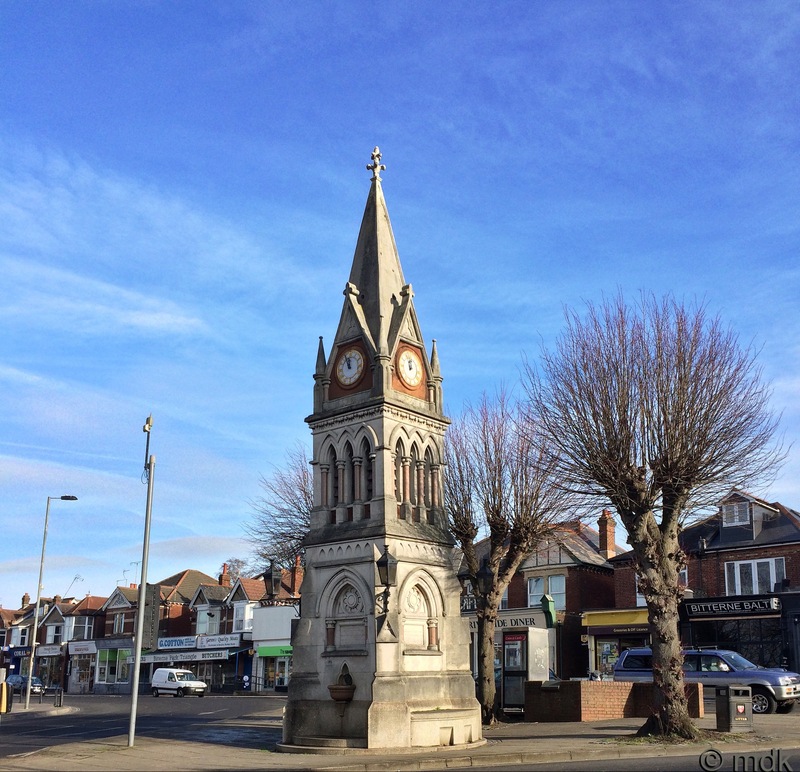 I write about walks and the history of the area. I love to see the little houseboats moored along the river. I think they’d character to the area. Even so, I do not wish to get into some kind of political debate, or argument about it.